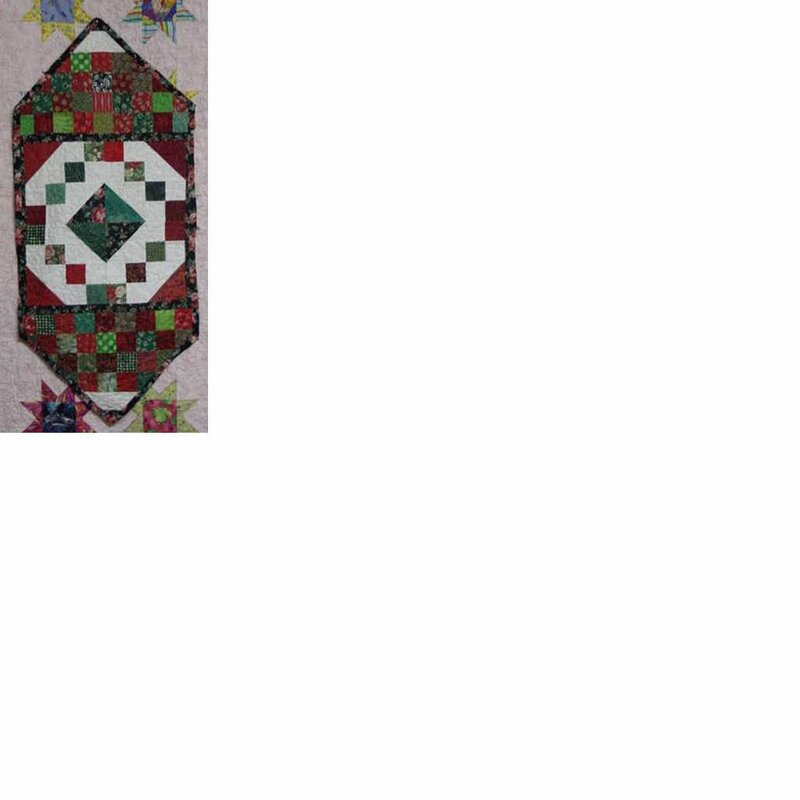 I posted about this quilt earlier, but I wanted to show it again bound and how on the back I used a left over Jewel Box block from the Brides Maids quilts in addition to a selection of "other" greens and reds. I just kept adding until it was big enough to be a back. Last night I finished trimming my nickels for the stretched star (I have 150 - need to take out 9) and started to trim the background to make the corner triangles..... Of course mine will be different but the main background will be a moda marble in teal. Not my color, but I have a chunk of it in my stash, so I am using it like a good stash quilter! I actually inherited it from a quilty friend who died of cancer several years ago - I smile every time I use a "Lynda fabric." I have those same hearts and have not done ONE thing with them, can't wait to see pictures! count on us to remind you then Amy. you sure are the nickel queen ! I do love your runner but I have to admit I like the back better than the front. (Not that I don't like the front!) One side is elegant and the other scrappy and fun. So I guess you could just flip it to serve your mood, huh. I too LOVE the cover of the second nickel quilt book...I'm thinking batiks! It's so pretty and I love the way it flows. I've yet to make one from either of the books. Are the directions well done? Simple to follow? You have way more nickels than I do! I started swapping them and then couldn't get enough of the right pairs together. I do have a good supply of Asian fabrics, so I'd be happy to cut some nickels from them and send them your way if you want them. I have a nice set of jewel tone and neutral nickels, but I'm not really sure what I want to do with them. As I had said in a previous entry on my own blog, I plan to make a nickel quilt from my 1800's repros. I have a drawer full of fq's. I may do Paducah 9-patch, but I really like one in the More Nickel Quilts - the name escapes me at the moment. I have always wanted those hearts, but could never figure out what to do with them.